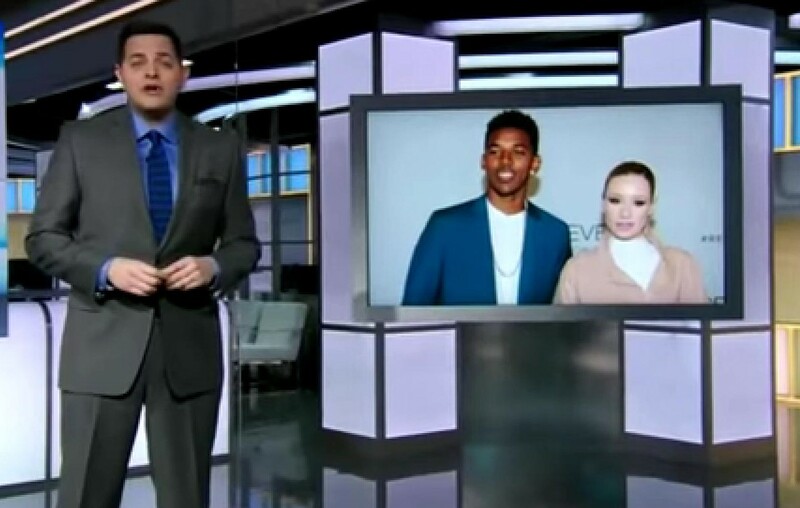 The newest person to criticize Iggy Azalea is Sportscenter anchor Robert Flores. During a recent "What Did We Learn" segment, the reporter called out Azalea's boyfriend and Los Angeles Lakers forward Nick Young, reports BroBible. "Nick, while dolphins are trying to kill you, your girlfriend's trying to kill Hip Hop," Flores said. "Let's call it even, OK?" Young, who told reporters earlier this month of his fear of the sea creature, responded on Twitter to confront Flores and defend his girlfriend. "@RoFloESPN you job is to talk about sports not what we and my chick got going on," one of the posts reads. Nick has also defended Iggy against Snoop Dogg and Tyler, The Creator. 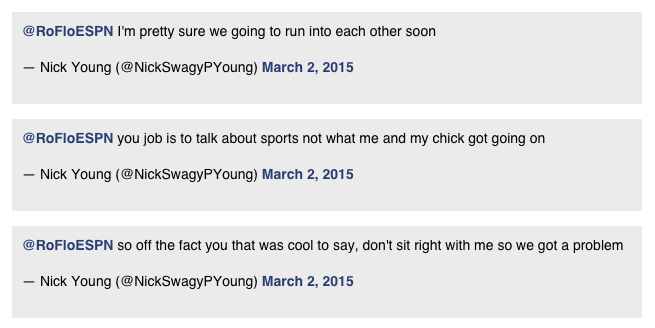 Robert flores has responded to Nick Young's series of tweets. During an appearance on ESPN Radio's Sedano & Stink Flores took a shot of his own at the Lakers' shooting guard. "If you look at his numbers," he said, "there's a 70 percent chance that, if he takes a shot at me, he's going to miss. I'm just looking at the numbers, so I'm good."